On the 29th of January 2019, an exhibition of Turkmen cultural and historical heritage, applied art, informational photos on the achievements of the country and the books of the President of Turkmenistan was organized in the headquarters of the Commonwealth of Independent States dedicated to Turkmenistan’s chairmanship in the CIS in 2019. The exhibition was organized by the Embassy of Turkmenistan in the Republic of Belarus. At the festive opening ceremony, Chairman of the Executive Committee of the CIS, Executive Secretary S.N. 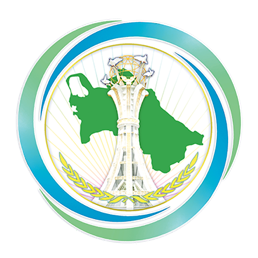 Lebedev presented congratulatory speech and expressed confidence that mutual cooperation will further strengthen among the CIS states participants under the chairmanship of Turkmenistan in 2019. With its rich content, the exhibition served as a proof of active multilateral cooperation of our Motherland with foreign countries as well as reiterated rising interest of global community to Turkmenistan, the rich national heritage of our people, its exceptional cultural and art. After the exhibition, the responsible staff members of the CIS Executive Committee as well as the Extraordinary and Plenipotentiary representatives at the CIS Structural and other agencies participated at the reception during which participants were offered the dishes of Turkmen national cuisine.